Dawn Ius is a short story author, novelist, screenwriter, professional editor, and communications specialist. She is the Assistant Managing Editor of the International Thriller Writers Association’s monthly magazine, The Big Thrill, and the author of nine educational graphic novels published by the Alberta Canola Producers’ Commission. Dawn’s debut contemporary YA novel, Anne & Henry, releases Fall 2015 with Teen Pulse. Dawn also writes young adult paranormal fiction under the last name Dalton. Her short story, Thread Of The Past was one of 13 haunting tales in the Spirited anthology published by Leap Books (2012) and Killer’s Instinct, a paranormal YA novel co-written with Judith Graves, was published November 2013, also from Leap Books. Killer’s Instinct was shortlisted for a coveted Silver Falchion award. 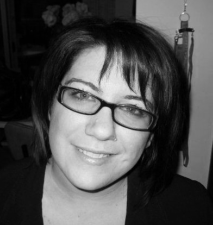 Dawn is represented by Mandy Hubbard, D4EO Literary Agency.